Well, the answer just might be in a little 1 oz. green jar of BULLFROG SNOT. 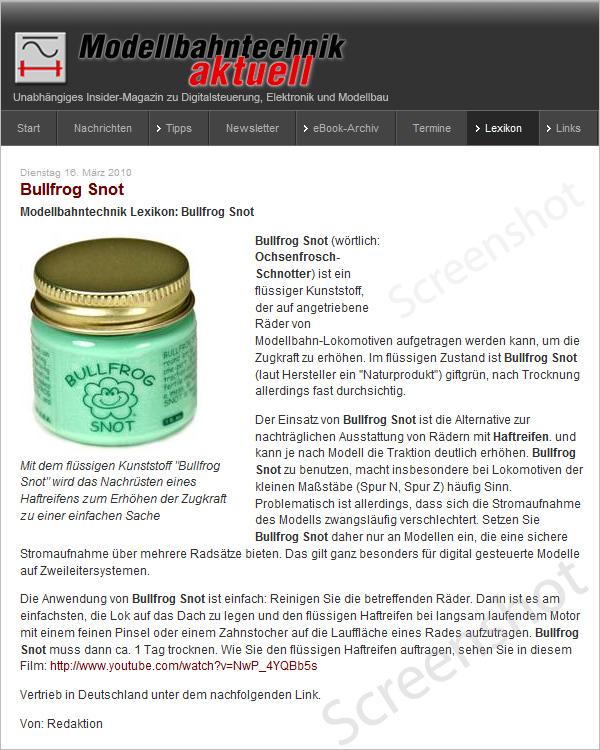 Bullfrog Snot is by far one of the more interesting new items released for the model train industry this year. Locomotive traction has always been a concern, and Bullfrog Snot offers a solution.